We published this report last March as a how-to guide for small-medium customers on how to go about the process. Sponsored by PTC, the report was nevertheless completely vendor independent. Just late last week we received permission to publish the report in its entirety on our web site at CAD-Portal.com, rather than just the executive summary. Enjoy! As always we appreciate your feedback. You can hear Brian Shepherd, EVP of PTC, discuss PTC’s future product plans at this webinar. I attended an earlier one and highly recommend it. Lots of info in a short time from a key executive. More details on how to sign up and the agenda are at http://www.cad-portal.com/events/index.php . My interest in Siemens’ Solid Edge business was recently re-awakened when I finally heard that Karsten Newbury was appointed to lead the Solid Edge business. 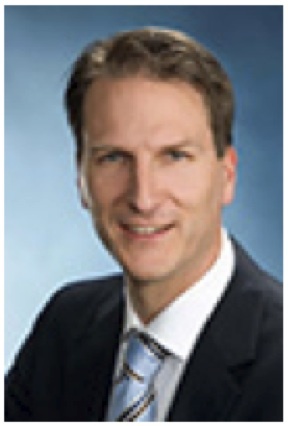 His actual title is senior vice president and general manager for Siemens PLM Software’s Velocity Series product suite. Partially this occurred when I heard that Bruce Boes had departed the company to head up marketing at Vistagy (www.vistagy.com). Some of you may recall that I wrote several papers when Solid edge synchronous technology was first released in 2008. Back then it was billed as the greatest thing since sliced CAD bread. Finally users could just design, change existing designs easily, and import other CAD system data easily. Yet, in the two years since, it seems to have made little dent in the marketplace. Sure, some Solid Edge competitors sat up and took notice, even going so far as to add such capabilities to their software, or at least their software plans. 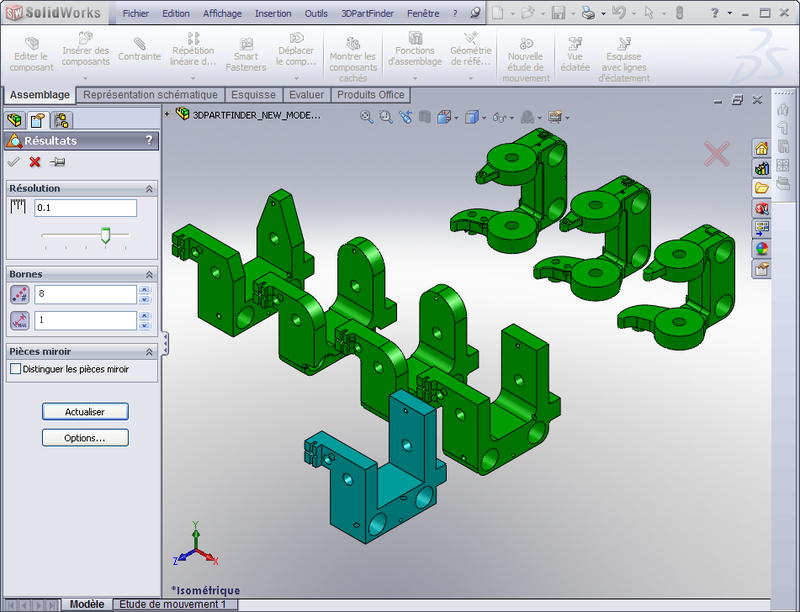 Autodesk announced Fusion Technology and SolidWorks promised to expand direct modeling within the history tree. Newbury, a long time Siemens executive, led the integration of the UGS acquisition into Siemens. Aha, I thought, at last the company seems to be paying attention to this CAD modeling gem. I asked for and was granted a telephone interview with Newbury, just yesterday. Below are the nuggets from this interview. Ray: You have been head of Velocity marketing for some six months now, what are you doing differently than before? Karsten: When heading up the integration into Siemens we identified certain technologies that could be more profitable. Solid Edge, with synchronous technology (ST) stood out. The establishment of the Velocity business unit was the first step to gain greater visibility and funding with Siemens PLM. I have the global responsibility for its success. I am reviewing all aspects of the business and the opportunities. There are more focused resources now along with more investment. Ray: can you give me some metrics on how much the resource has increased? Karsten: I cannot give you any numbers, but we have seen high double-digit license revenue growth in the last year. We have invested several million dollars in the business since the beginning of last year. I cannot share with you any details on the actual dollar amount of the revenue increase or manpower increase. Ray: This leaves me a little cold without having details on the actual investment or manpower. Karsten: You will just have to wait and see what the impact in the market is. The business unit is profitable and is expected to continue to be so. We will plow all the profits back into the business. Ray: Have there been any recent management or organizational changes within your business unit that you feel are substantive? Karsten: As a newcomer I have been examining our structure and will soon add a new person to head up the marketing function. In the three major worldwide geographic zones we have put in place new sales leaders. Ray: What are your plans to gain market share in the face of intense competition from Autodesk and SolidWorks? Karsten: We are focusing more on providing local support and providing more sales leadership to VARs worldwide. We have increased our channel percentage and will drive more into this direction; currently more than 90 percent of our revenue comes from channel partners. We plan to leverage ST’s real productivity gains and have users tell others about the benefits. Ray: Do you envision any dramatic changes in the product and can you discuss the future of the product. Ray: Your competition has been taking potshots at ST. How do you counteract that? Karsten: We do not worry about what the competitors say. We think users are looking for alternatives in their design approach. We want to drive real productivity gains for users and make their job easier. With ST3, due out soon, we expand these benefits even further. Solid Edge ST represents a real advantage over the competitive offerings. Users are talking about shrinking their design times from weeks to days. Ray: Do you think Autodesk Fusion Technology is a serious threat to ST? Karsten: Fusion technology seems to have acknowledged direct modeling benefits. We think we have a distinct time advantage over our competitors. 2 Feb 2010: James Cameron, Avatar director, was the guest speaker during the morning session. He held the audience captive with his descriptions of how he made the file and how his engineering team developed the necessary video camera and other computer technology required to turn his ideas into this fantastic movie. An amazing short video clip showed how his team managed to translate live actor movements and facial expressions onto the avatar cgi’s. What an impressive person! During a follow-on press conference with him, he evidenced concern about the huge hardware manufacturer push for 3D, with little content available. Nothing like a market to drive demand, as w well know. A visit to the exhibition hall led me to the booths of 3DSemantix, ElecWorks, and Zuken, the latter two because of my ongoing (and EE background) fascination with Mechatronics. At 3DSemantix, this new, Montreal based company, has developed a technique for searching geometric databases to search for similar geometry – ideal for reuse of existing parts and saving the time to rebuild already existing parts. PartFinder, officially launched last month works, for now, only on parts. It develops a textual geometry coefficient for existing parts, and compares a part model to existing parts. Fully integrated with SolidWorks, the software costs $1500 per seat. This looks like a great solution to an always vexing problem. The night’s special event turned out to be not be so special after all for my taste – too dark, too noisy, too many food lines. Must have been due to a big budget cut. For day 3, I am attending the morning preview of SW 2011, then off to the airport for my flight to Florida. June 18, 2009: Lately we have been reviewing Windchill ProductPoint, a terrific solution based on SharePoint for small users. This announcement focuses on the other end – LARGE customers. We find this particularly interesting because it’s the first deployment on PDIF of a tightly integrated PLM application. What makes PDIF so interesting? Because it’s an excellent example of IBM using its prowess in services, global clout, and middleware (software enablers) to aim at solutions for large, complex issues, one of which is integrating the multitude of engineering and other disciplines involved in bringing out new products. IBM’s PDIF has been in the works for several years and under many executives. It finally looks like the technologies to accomplish this have finally enabled their vision to be able to be realized. As for today’s announcement, Siemens PLM Software announced that it will use IBM’s Product Development Integration Framework (PDIF) as a development platform and integration environment, for a soon to be delivered ready-to-use solutions built on its Teamcenter PLM software portfolio and integrating tightly with IBM WebSphere and Information Management (DB2). PDIF also enables a richer integration between Siemens Teamcenter and Rational Software’s software development platform. “Siemens PLM Software’s Teamcenter is the industry’s first PDIF-ready platform to deliver tightly integrated IBM middleware offerings that reduce PLM software acquisition and lifecycle costs,” said Michael Wheeler, vice president, IBM PLM and Supply Chain Solutions. “By using a flexible software environment, companies have a framework for marrying key PLM business processes to technology initiatives that offer a structured approach to managing the life of a product,” added Wheeler. On the call today, Chuck Grindstaff, Siemens PLM EVP and Wheeler discussed the implications to potential customers. Wheeler extolled the virtues of Teamcenter working on their “blue stack”, adapting their SOA solution to PDIF, and altering Teamcenter so it now uses DB2. Grindstaff, in turn, was particularly complimentary of IBM’s DB2, Tivoli for secure controls and backups, and the overall performance. All they would say on pricing is that that the combination looks to be a good value for customers. Wow, when they pack on all the IBM middleware and TC I expect it may be a good value if you can get a lot of users on each system! So you got laid off. As did thousands of other highly qualified scientists and engineers. What can you do to stand out of the crowd while looking for your next job? What will you do in case your one-month layoff stretches into six months or a year? How can you make yourself more qualified and more appealing to future employers while being unemployed? During this talk, Dr. Masha Petrova will give you 10 specific action items that you can do while searching for your next job, that will dramatically improve your resume, greatly increase your interviewing skills, provide many more opportunities for employment and set you apart from the rest of the job seekers in your field. Come prepared to take your professional skills to the next level. Onshape: I have seen it and it is good!